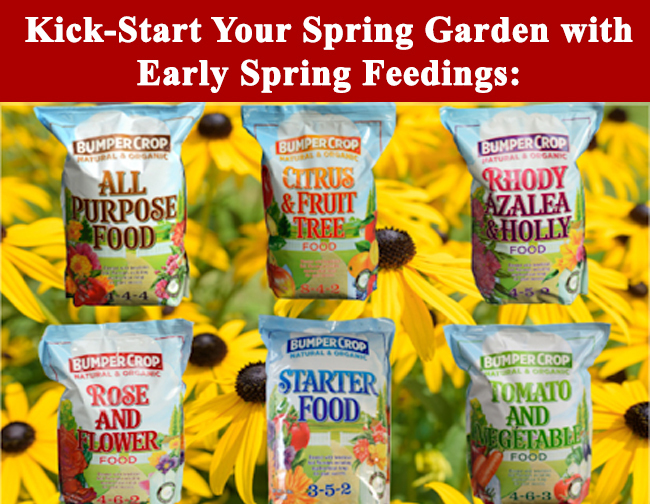 The question most often asked about spring feeding is, "What kind of fertilizer do I use for this or that plant, tree or shrub?" Rhododendrons, Azaleas, Camellias, Junipers, Evergreens, etc. - Use a rhododendron type of fertilizer when feeding these types of plants. Most should be fed twice a year, once in Spring and again in Summer. Be careful not to spread the material directly on plants or the trunks, instead apply it at the drip-line of the plant. 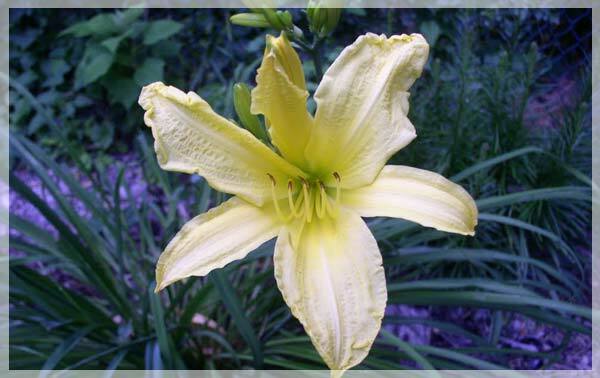 Follow application directions on the label of all fertilizers you use. (VERY IMPORTANT) If you have any questions about fertilizers or feeding do not hesitate to ask us....we are here to help you! Annuals, Perennials and Roses - Both the annuals and roses will do best if they are fertilized on the average of once a month throughout their growing season. Perennials should be fed in spring and again in the summer. Use a rose or general garden fertilizer to feed them. Vegetable Gardens - Use a general all-purpose garden fertilizer or a rose-type for feeding vegetable plants. Mix fertilizers into the vegetable garden soil prior to planting. Established garden vegetable plants are side-dressed with fertilizer during their growing season. . Planting of New Shrubs, Trees, Perennials and Annuals - Use one of the specially prepared planting or transplanting fertilizers at planting time. These fertilizers are mixed into the soil according to the directions on the label of the brand of fertilizer you use. The greatest advantage of a planting or transplanting fertilizer is that they encourage root growth, thus insuring better top growth as the plant develops. You can get your garden plants off to a good start and keep them growing well by feeding them properly, with the correct type of fertilizer and the correct amount of watering. We recommend our Garden Elements Line of Organic Fertilizers and as always Our Bumper Crop for top dressing, new plantings, transplanting and for generally freshening up the soil in gardens and in pots and planters!